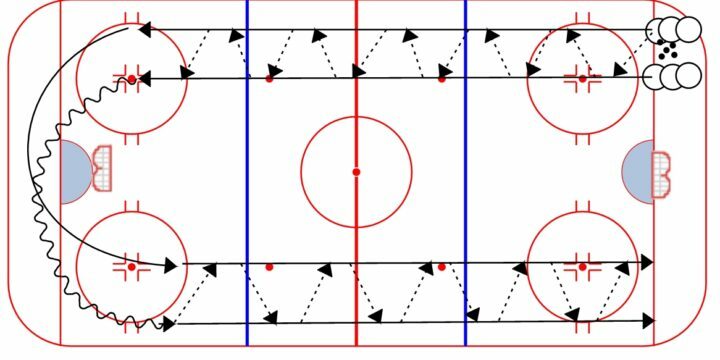 Click Here for a printout of the Wiseman Drill you can take to the rink with you. 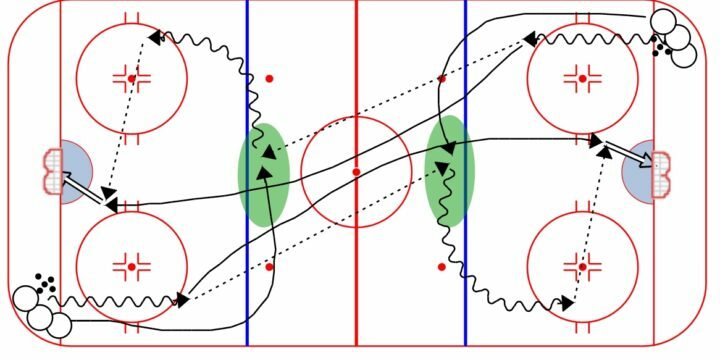 The "Wiseman Drill," named after one of my old coaches, is a great passing and timing drill (one of my favorites!). 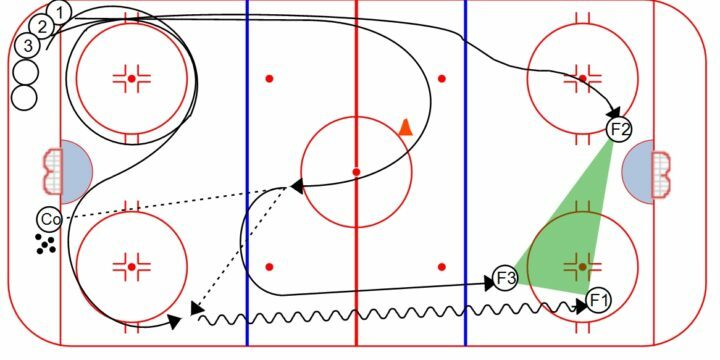 This drill incorporates many game simulation concepts such as one-touch passes, timing, support, offensive attack, and odd-man rushes. Furthermore, there are numerous variations and options you can work through with your team. So be creative, and have some fun with this one!